1. Do I Have to File State Taxes If I Owe Nothing? If you live in Alabama, you pay a state income tax in addition to filing your federal income taxes. For lower-income residents, that tax hit can be painful, since the state implements the same 5 percent tax rate on everyone who makes $3,000 or more, rather than offering a lower rate for those who make below six figures, as some states do. But claiming a few deductions can help reduce that tax burden, which means you’ll be able to keep more of the money you work so hard to earn. A married couple filing jointly can take a standard deduction of up to $7,500, depending on adjusted gross income. However, most taxpayers get a deduction of $2,000 each year. There’s good news for Alabama residents. Starting in 2018, the amount you’ll need to make to qualify for the state standard deduction is higher. Before 2018, taxpayers could only take the standard deduction if they made $20,000 or less but with new tax law changes in the state, a married couple filing jointly can make a combined adjusted gross income of up to $23,000 to take the maximum standard deduction of $7,500. Legislators estimated that the change would help about 200,000 families with a reduction in their tax burden. For single filers, the new law means they can make up to $10,500 to claim the maximum deduction. Previously that privilege topped out at $10,000. The change was meant to help the state’s low-income wage earners, but it comes as a result of a thriving economy. It’s estimated that it will save taxpayers around $4 million each year. For single filers, those limits are even lower. If you’re among the many Alabama salary earners with an adjusted gross income of $30,000 or more, you’ll only be able to claim a standard deduction of $2,000. That increases to $2,025 for those earning $29,500-$29,999. If you’re married but file separately, you can only claim $2,000 if you earn $15,000 each year or more. Alabama keeps things simple by offering very few income tax brackets, with the vast majority of wage earners falling in the same one. You’ll have only three tax brackets when you pay state income taxes in Alabama, compared to seven for your federal income taxes. With federal taxes, you can fall between a wide variety of percentages. If your family falls around the average U.S. household income of just over $56,000 and you file jointly, for instance, you’ll pay only 12 percent in federal taxes. However, if you make between $77,401 and $165,000 and you’re married filing jointly, you’ll pay 22 percent. Alabama’s taxes are much simpler. No matter how much income you bring in, chances are you’ll pay a 5 percent state income tax. Single filers in Alabama pay 5 percent if they make $3,000 or more, while married filers pay that rate if they make $6,000 or more. Unfortunately, this tax setup is tough for the state’s low-income earners, who find they’re paying 5 percent on the less than $20,000 they’re bringing in, whereas the federal government adjusts downward for married couples making $19,050 or less each year. Residents considering Alabama tax deductions often ask if they should itemize their deductions, rather than taking the standard. But in Alabama, if you choose to itemize your state taxes that does not mean you have to itemize your federal taxes. However, there are some taxes that aren’t carried over from your federal tax onto your Alabama income tax return. In those cases, you’ll need to list those items on your state income tax, making sure you save documentation in case your state tax agency has questions. One deduction you shouldn’t miss, though, is your federal self-employment taxes. You can claim those on Line 6 of Schedule A, to get credit for the self-employment taxes during that year. If you received a railroad pension or you have qualifying long-term care coverage, you may be able to claim those, as well. Additionally, you can claim certain mortgage insurance payments as they relate to long-term care. 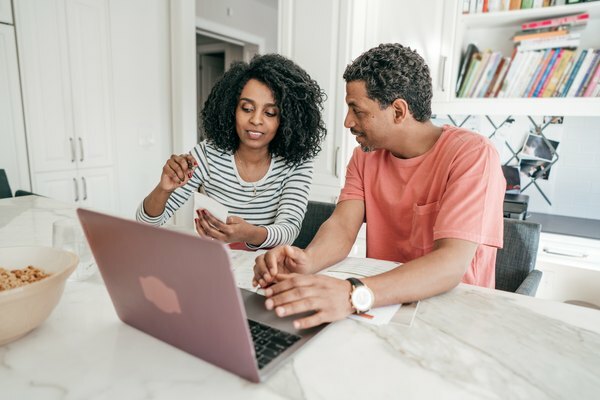 Since these deductions can change from one year to the next, it’s important to monitor tax laws closely to avoid missing a chance to reduce your taxable income. Another big break for those unwrapping the complexities of the Alabama income tax is the personal exemption, which offers $1,500 for single taxpayers and $3,000 for married couples filing jointly. You’re considered single if you were legally divorced on Dec. 31 of the tax year. Students and dependents can also claim the personal exemption, even if they’re claimed as a dependent on someone else’s taxes. Parents who provide more than 50 percent of a dependent’s total support can claim the dependent exemption on them, as well. The dependent exemption depends on the adjusted gross income of the taxpayer. For taxpayers with Alabama AGI of $20,000 or less, the deduction is $1,000 for taxpayers, but it goes as low as $300 for those with income of $100,000 or more. Dependents can include children, stepchildren, adopted children, parents and stepparents, parental siblings if related by blood and parents- and siblings-in-law. Under Alabama tax laws, you cannot claim foster children, cousins, friends, yourself or your spouse. If a dependent dies at some point during the tax year, you can still claim that person as a dependent on your taxes. In addition to Alabama state income tax exemptions, you can also benefit from claiming Head of Family status on your state tax return. This is something you likely know about in relation to your federal filings, where it’s called “Head of Household,” but it is slightly different for Alabama’s income tax purposes. As with federal taxes, you’ll claim Head of Family if you’re not married on Dec. 31 of the tax year in question and your dependent isn’t a foster child. There’s a benefit to claiming Head of Family status since it allows you to claim a higher standard deduction than you would alone. You’ll also be entitled to a $3,000 personal exemption if you file Head of Household, versus a $1,500 exemption for filing as a single taxpayer. If you only spent part of the year in Alabama, you’ll only be subject to income tax on the monies you earned while you lived in the state. The good news is, you’ll also qualify for the full exemption amount, as long as you earn enough income to require you to file in the state for the year. You’ll find you can claim the full standard deduction and dependent exemptions, as well. This can help offset your tax liability for the time you spent in the state. For those who don’t live in Alabama but received income for services performed in the state, you’ll need to report and pay taxes on the income you made while in the state, but only if it meets the minimum required to file. If you file as single for the year, you’ll need to have made $4,000 during the tax year to qualify to pay taxes in Alabama. For the many Alabama taxpayers working in multiple states throughout the year, taxes can become complicated. You don’t have to pay taxes to more than one state on the same income, so states have a way to give you credit for the amounts you pay to other states during tax season. Alabama gives you credit for taxes you paid to another state on Schedule CR. You’ll first need to complete your tax returns for other states, then list the non-Alabama adjusted gross income on Part 6 of the form. It’s important to note that in 2018, Alabama passed legislation meant to better manage the income taxes that multistate residents pay. The bill says that credit given for taxes paid in another state can only apply to the portion of a taxpayer’s income that is truly attributable to those other states. In recent years, there had been confusion due to Alabama’s low income tax rate and a stipulation that the credit was the lesser of the tax actually paid to the other state and the tax that would be due to Alabama on that income. The new bill means that all taxpayers will now be paying 5 percent on the money they earn in the state of Alabama during the tax year. If your residency is in question, you’ll need to check the state’s rules for residency. If you have a permanent home in the state of Alabama or you plan to come back after being temporarily located somewhere else, you’re considered a resident of the state for tax purposes. This means you’ll need to show proof that you’re no longer living in Alabama to escape your tax obligation. However, you likely won’t need to do this if you’ve relocated to another state. Setting up residence through actions like getting a driver’s license or buying a home can be enough to establish that you're no longer a member of your departing state, as long as you legitimately have relocated. If you’ve moved to Alabama from another country, you’ll still need to file income taxes in the state, even if you don’t yet hold official residency there. The rule relies on you having domiciled in the state by doing things like buying a home or getting a driver’s license. This is true even if you never intend to apply to become a U.S. citizen. You’ll need to pay income taxes to the state in which your home is, as well as federal income taxes, as long as you’re earning the minimum amount required to file. In addition to credit for the taxes you pay to another state, there are other credits that can reduce your tax bill. For employers, those include training you provide to employees through Alabama Department of Education-approved skills programs or credit for locating your physicians' practice in a rural area. There are other tax credits specific to businesses that engage in activities that stimulate employment or help build communities, but those can change from one year to the next, so it’s important to check in each year. Parents may have credits that apply specifically to their activities during the year. One is a credit for parents who transfer their children from a failing public school to one that isn’t failing or to a nonpublic school. Parents who adopt qualifying children may also be eligible for credits, as may taxpayers who make a contribution to a scholarship program approved by the state.